It’s that time of year when we work to clean and organize our homes. We are doing the same thing in the store. Now through January 7th, most of the store is on sale! 10% off textiles, wall shelving, most lighting & more! 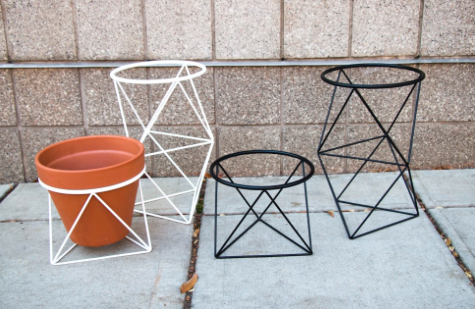 20% off planters & plants! 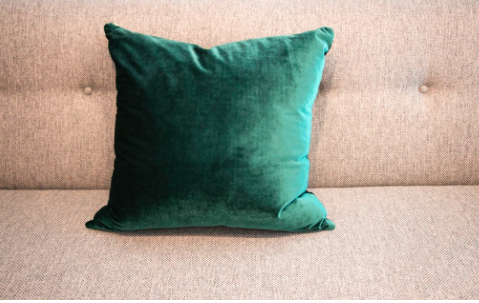 10% off many upholstery items including some special order items! We are excited to introduce several new chair and settee styles to the store produced by Overman, a Tennessee-based company. 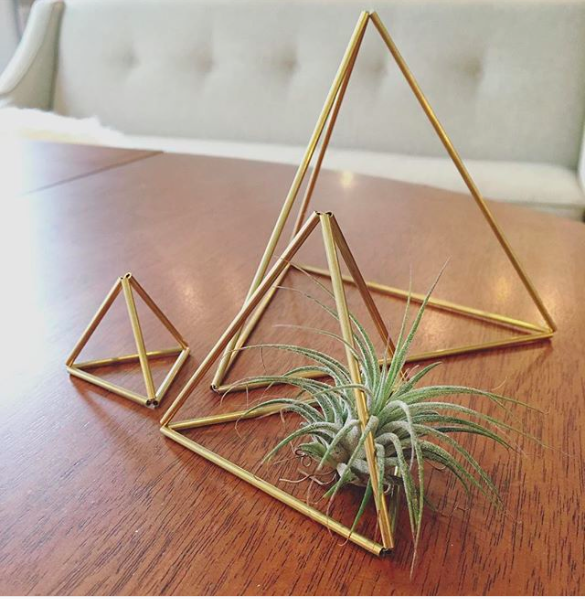 We have been selling Overman’s vintage pieces for awhile and love that they are still making products today. The company was originally founded in the 1950s in Scandinavia. The settee pictured is $470 and is available in several different fabric options. A matching chair is also available starting at $295! 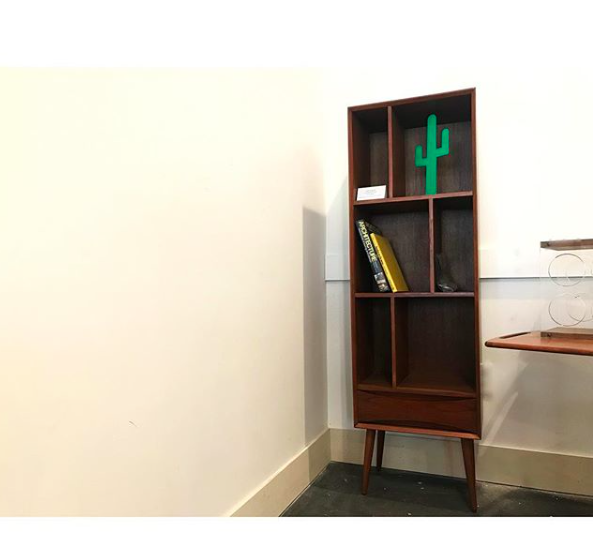 Also, new to the store is this beautiful new teak bookshelf produced by Bowery & Grand for just $895. 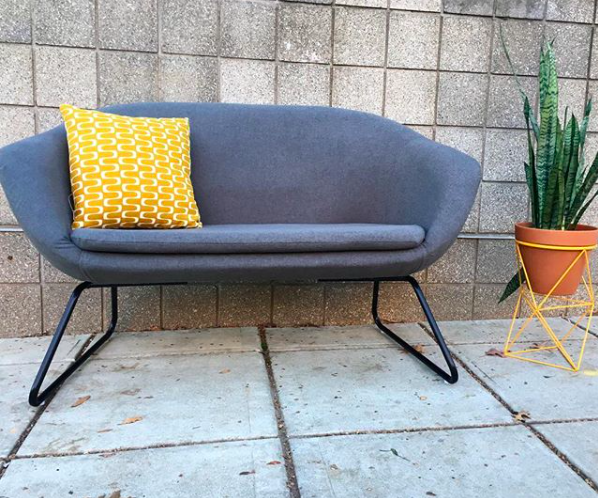 We love that the founder started his business selling vintage mid century furnishings. He was inspired to produce new furniture with the same character as the old designs. The bookshelf even has a finished back so it can be used as a room divider. Happy New Year! Thank you for supporting our business in 2017. We have our Himmeli on display in hopes for a prosperous 2018! Himmeli are traditional Finnish ornaments, suspended to bring luck in the new year. Now 20% off as part of our sale!